A601A (09 Jan 16 - Fly cruise) and N609 (27 Mar 16 - Sailing from UK). All prices are Select Fares which include additional such as choice of cabin number, priority cabin upgrades, dining preference and flexibility. Subject to availability. Terms and conditions apply. 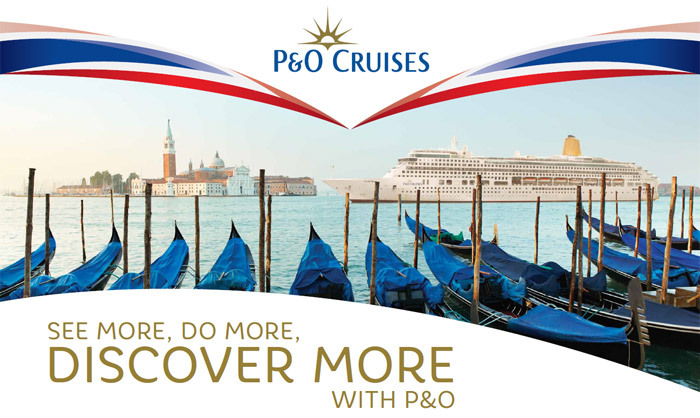 Premier Travel is acting as an agent of P&O Cruises ATOL6294. Book by 02 Nov 15.